We decided to take the scenic route to the 2017 Mining History Association Conference in Fairbanks. 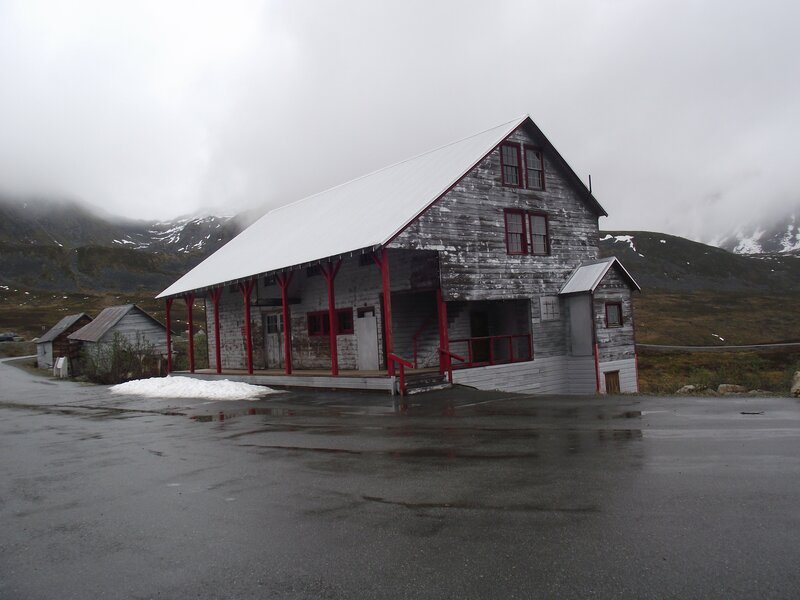 Our drive from Anchorage was to include stops at the historic coal mining area at Wishbone Hill and the Independence Mine State Historical Park near Palmer, Alaska, Denali National Park, and the Usibelli Coal Mine at Healy. 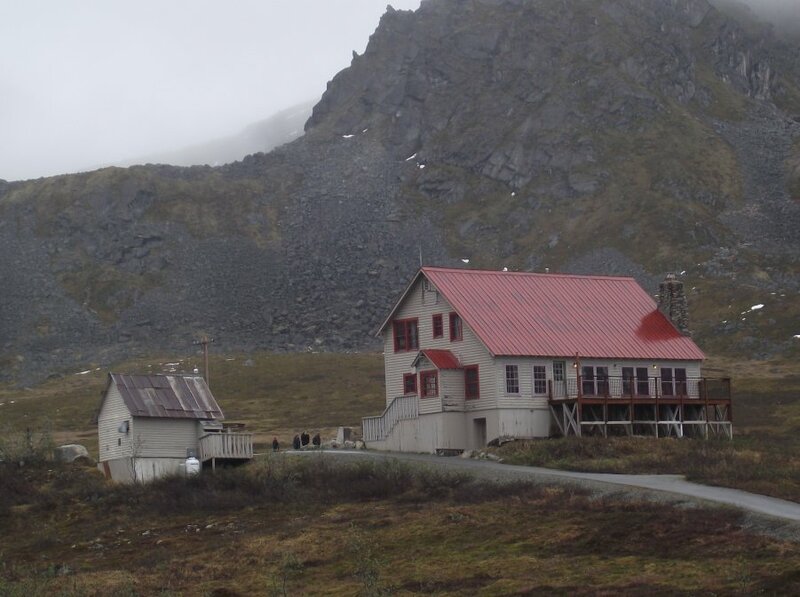 Mining at Wishbone Hill stopped in 1964, but from 1916 several mines operated to meet civilian and military needs, and those of the Alaska Railroad. Thanks to the efforts of the University of Alaska, U. S. Bureau of Mines, and Mother Nature, the area is now reclaimed with lush vegetation. 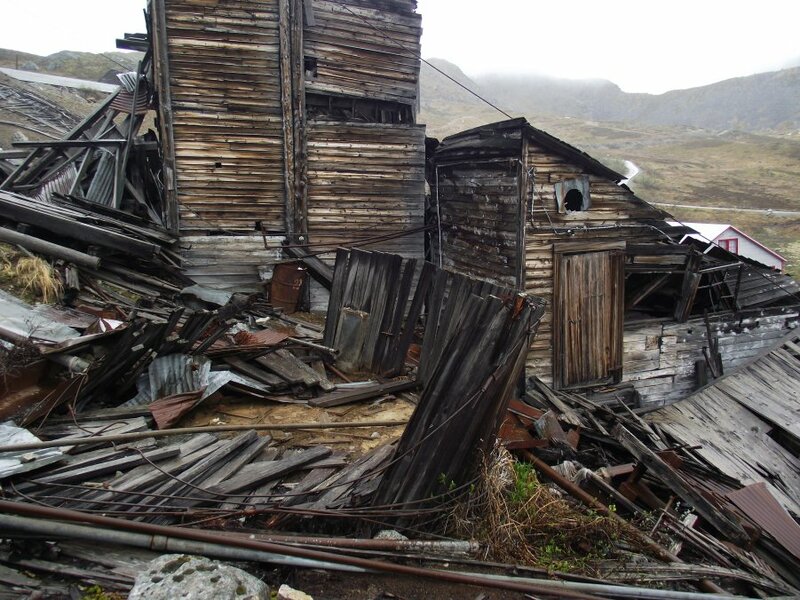 It has become a recreation area with relatively few visible traces of mining. 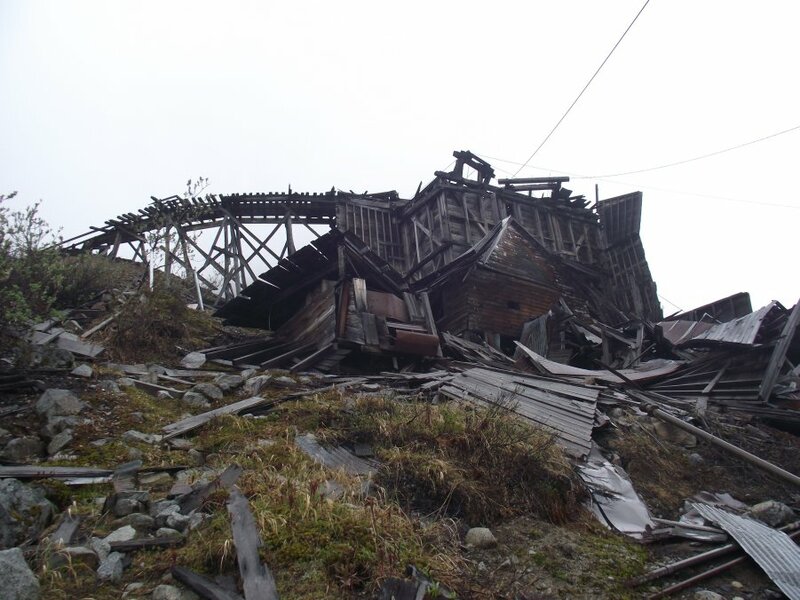 After a brief “drive around,” we headed for the Independence Mine. 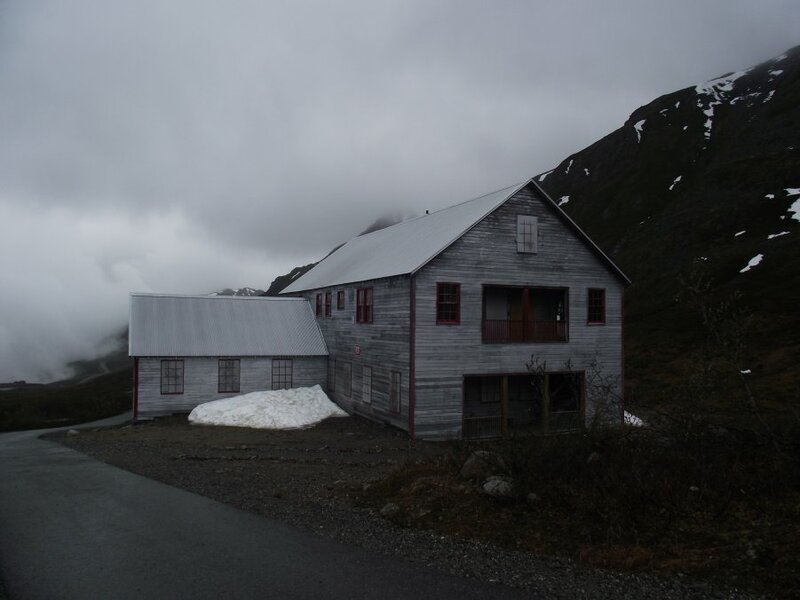 As we ascended toward the Hatcher Pass road above Palmer, the rain changed into dense fog and we feared we would miss seeing the mine and the spectacular scenery. Fortunately, as we entered the park we miraculously emerged from the fog layer and found the entire site ready for exploration. As seen in the photos below, the drizzle from a cloud layer just above the mine helped keep the dust down during our visit! Most of the scenery remained in the clouds. Gold was discovered by Robert Lee Hatcher in 1906 near the top of Skyscraper Mountain. 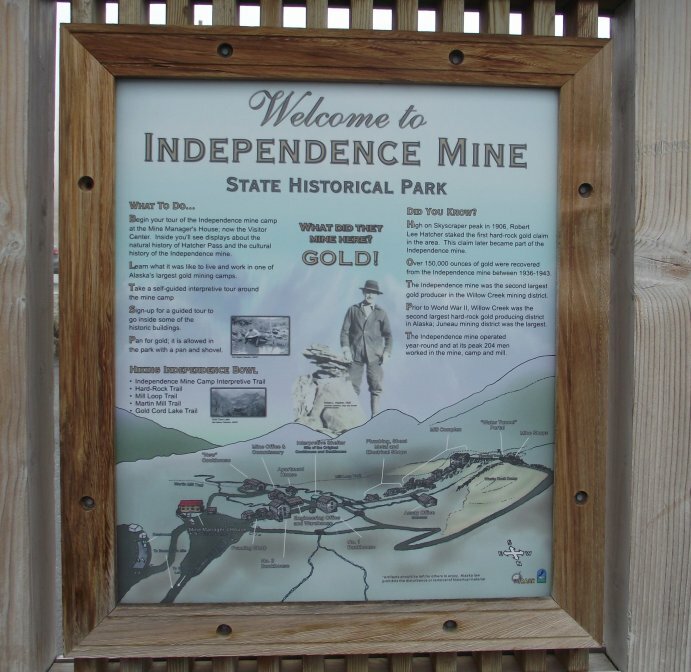 Nearly 150,000 ounces of gold were produced by the Independence Mine during 1936-1943. It was the second largest producer in the surrounding Willow Creek Mining District. CLICK HERE for the Park’s informative brochure and map. 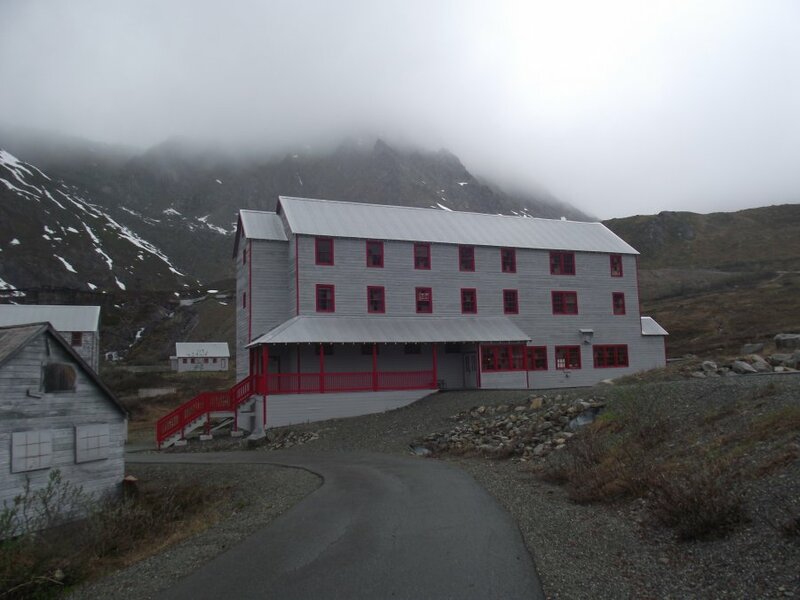 The Independence Mine site is on the flank of Skyscraper Mountain in the Willow Creek Mining District. 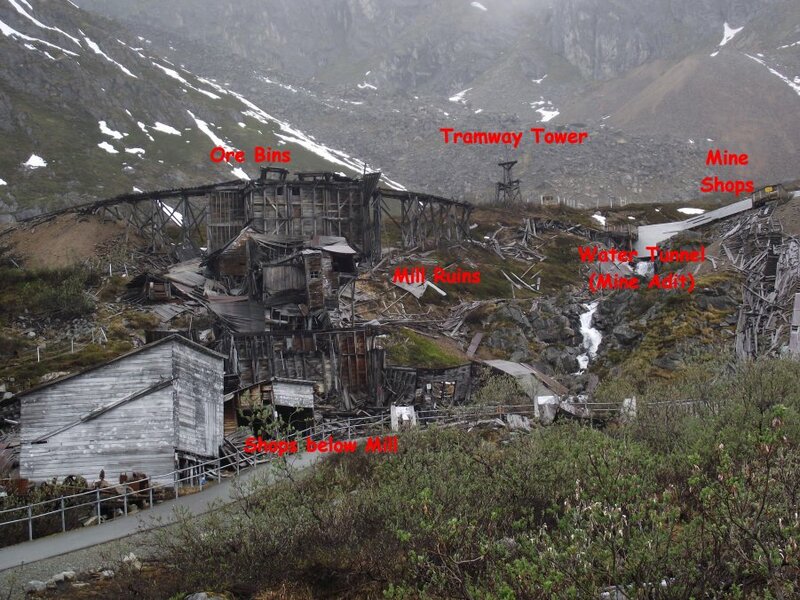 The Water Tunnel which served as the mine haulage adit, the ruins of a Trestle to the Ore Bins, and the ruins of the Mill and associated buildings (upper right photo) are located above the complex of bunkhouses, offices, and other mine buildings (lower photo matrix). An excellent system of trails with interpretive signs connects all areas of the site. Mine Managers House, ca1939, now serves as the park Visitors’ Center. 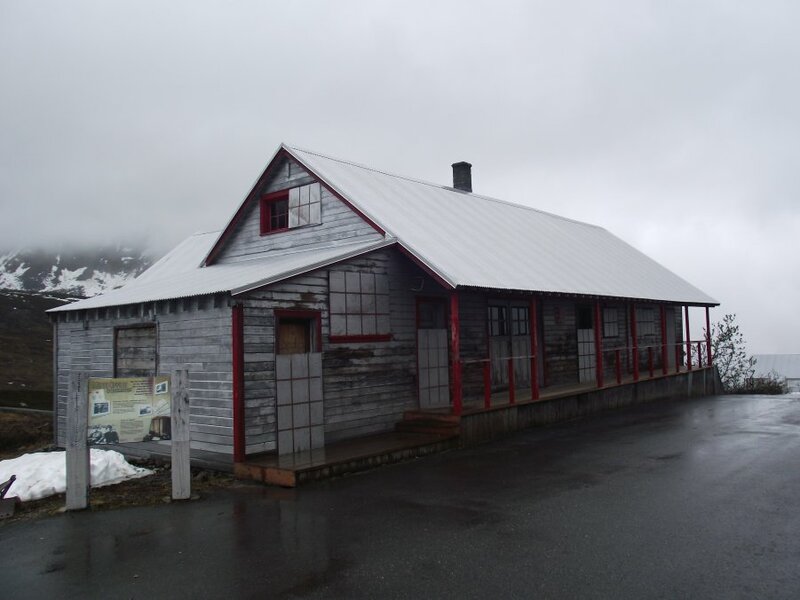 Mine Office and Commissary building. Bunkhouse No. 2, ca1940. Part of the building now serves as a coffee shop and bookstore. Bunkhouse No. 1, ca 1938. Cookhouse and Mess Hall, ca1941. 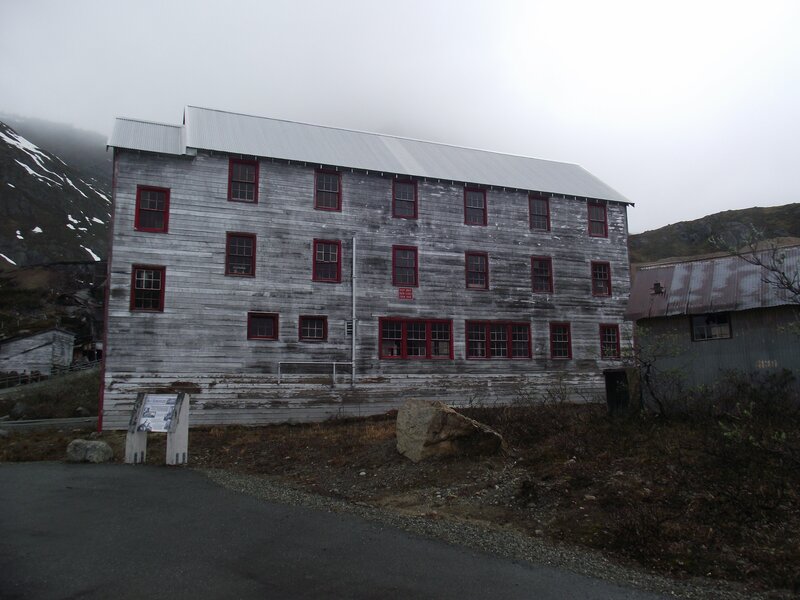 View of the Mine Trestle and Ore Bins located behind the Mill. Close-up view of the Mill ruins. The mill flowsheet included a jaw crusher, ball mill, amalgamation plates, classifier, and flotation cells. Gold recovery was reported to be 97%.